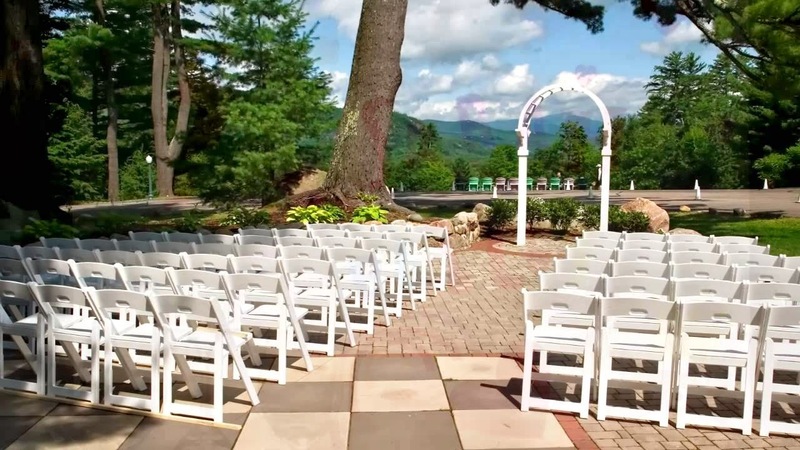 As a NH Wedding Planner, we have the experience of seeing some new unique venues around New England. I want to take you on a tour of a few AMAZING and unique wedding venues in New Hampshire, that aren’t like your traditional hotel or country club venues. 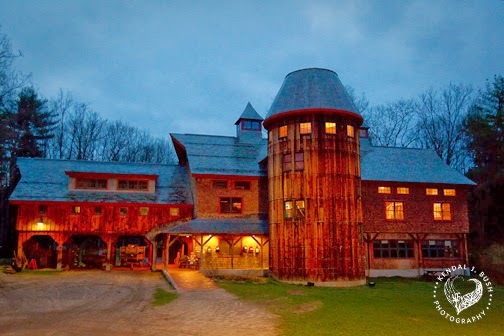 Each of these NH unique venues all have their own special charm and character…take a look! Stonehurst Manor is the first stop on wedding planning tour. Stonehurst Manor is located in North Conway, NH, it’s a beautiful boutique hotel located in the breathtaking White Mountains. This secluded 33 acre property with spectacular views is sure to catch your attention. This venue has a luxurious and elegant Victorian feel that takes you back in time with all of the history it has. Stonehurst Manor has the capacity to hold up to 150 guests indoors and also has the capability of hosting tented weddings as well. 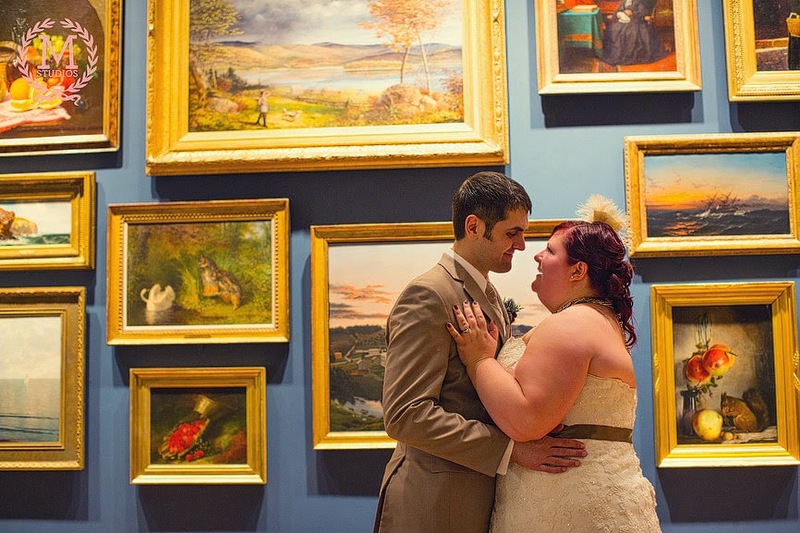 As a local NH wedding planner, I find the Currier Museum of Art definitely what I would call a unique and artistic venue. 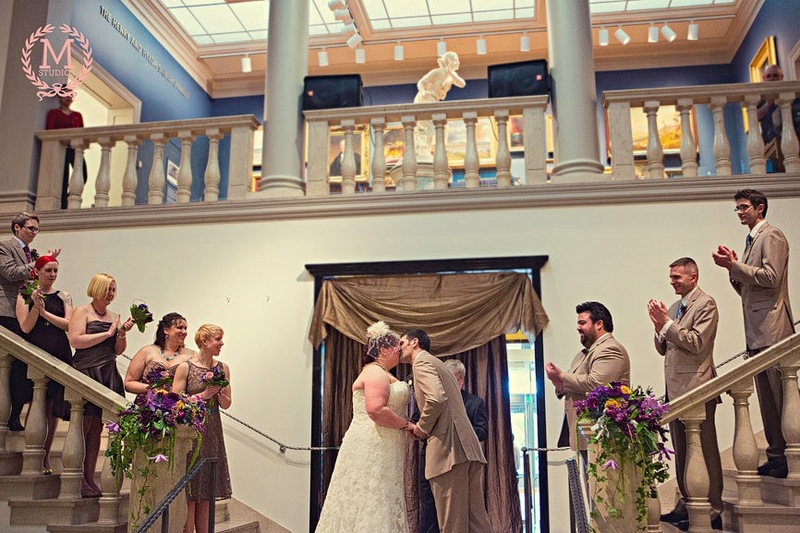 The museum accommodates everything from day to evening events, and guests are able to enjoy the galleries and exhibits of the museum during the event which is a cool bonus! The Winter Garden has the capacity to hold up to 120 guests for your reception. 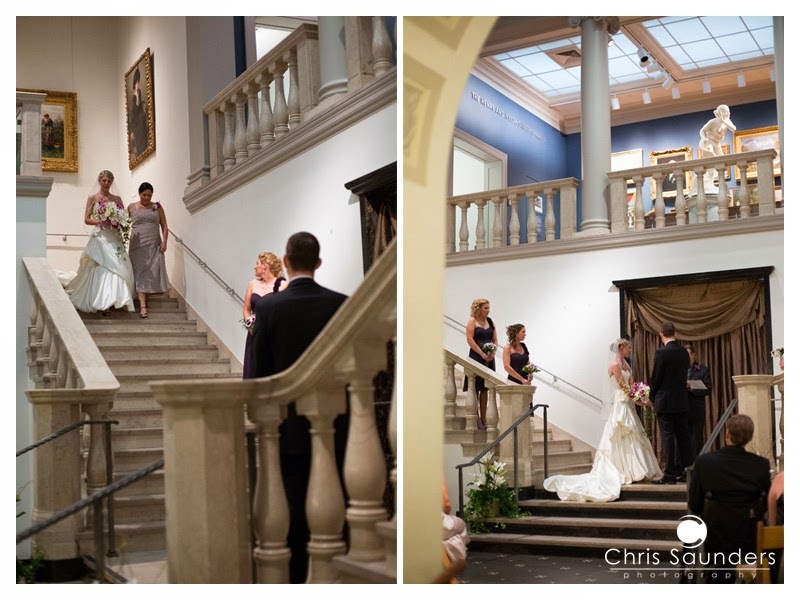 Thanks to Chris Saunders Photography for the gorgeous picture! Thanks to M Studios for these stunners! Zorvino is a charming winery located in Sandown, NH. Zorvino’s is “not just a winery but a destination”. 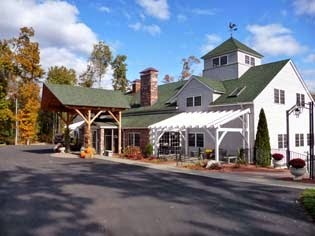 As a wedding coordinator in NH, this location has a very rustic feel, with beautiful landscaping including ponds and waterfalls. 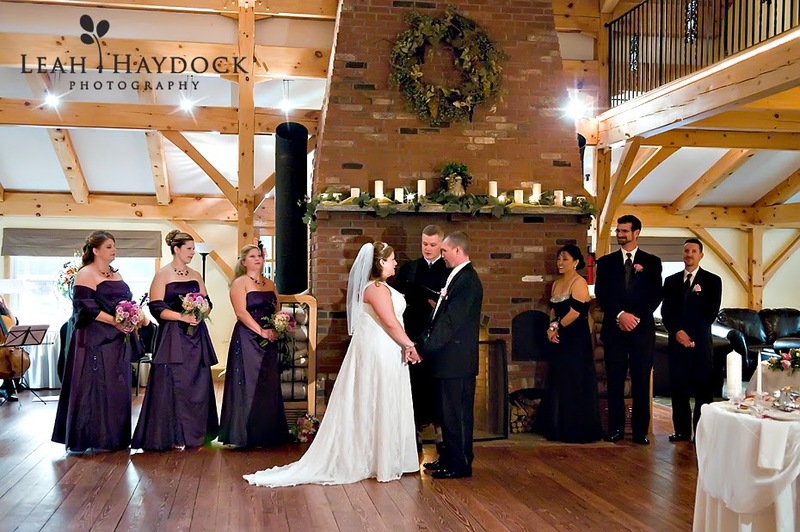 This venue accommodates events of all types and sizes, with their “beautiful rustic post and beam manor house with a huge fireplace”. 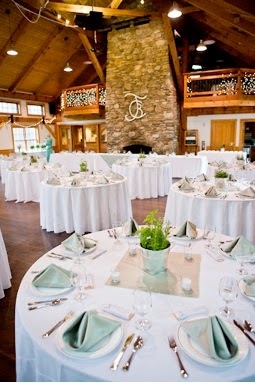 This cozy and relaxing atmosphere is great a wedding or rehearsal dinner location! 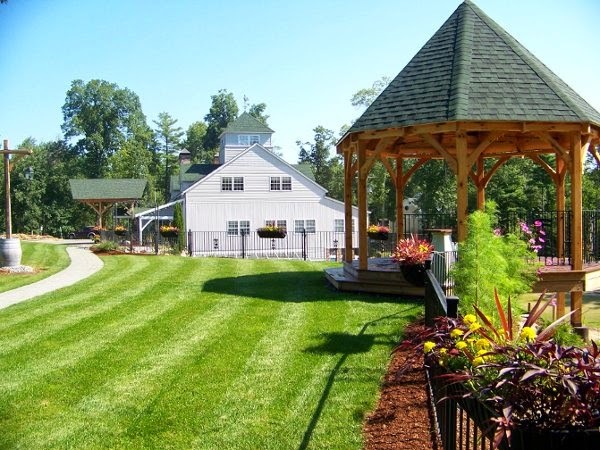 Anchorage at the Lake is the perfect lakeside location for your next wedding! Located on the shores of Lake Winnisquam, this facility offers unique lakefront cabins and houses for “cabin-style camping”. Anchorage at the Lake is easy on your budget and is definitely a great spot for those who love the great outdoors! 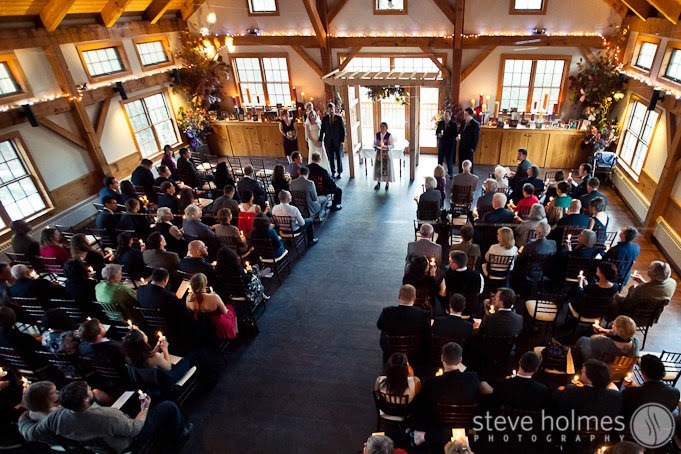 Ceremonies can take place on the beach or on their large deck overlooking Lake Winnisquam. Images courtesy of Derek Franco Photography. Our final stop on our wedding planning tour & continues to be a popular wedding trend is rustic themes. Anytime you search weddings on Pinterest everything is RUSTIC from mason jars, to barns, and large scenic fields. 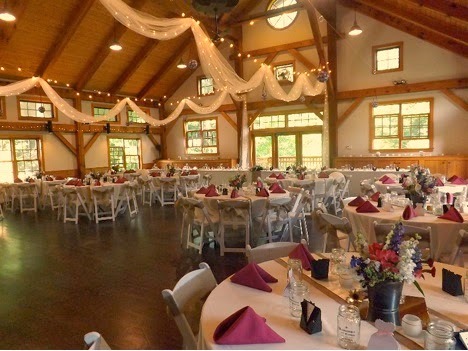 This venue is a perfect location if you’re aiming to achieve an elegant rustic wedding! 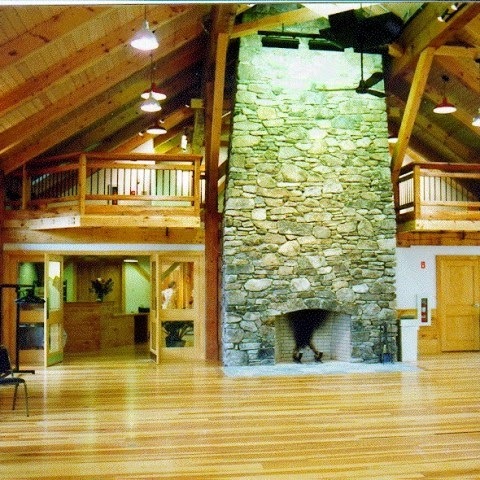 This 3 story venue contains a spiral staircase and a magnificent 30 ft tall stone fireplace. If you’re looking for a large venue, this one is great and can accommodate up to 150 guests! It has the New England wedding charm you may be looking for. Image courtesy of Kendal J. Bush Photography. Image courtesy of Steve Holmes Photography. To make your wedding unique, don’t forget to add your own special personal touches! 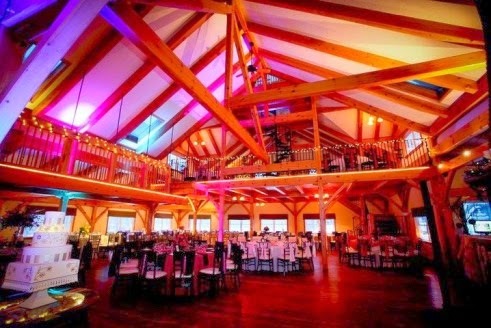 Consider taking a further look into these unique NH venues for your wedding! We love to travel & see new places! Contact us here to see if we’re available for your date & check out the type of services we offer here. Our Guest Blog Post today was written by Natasha Loman. 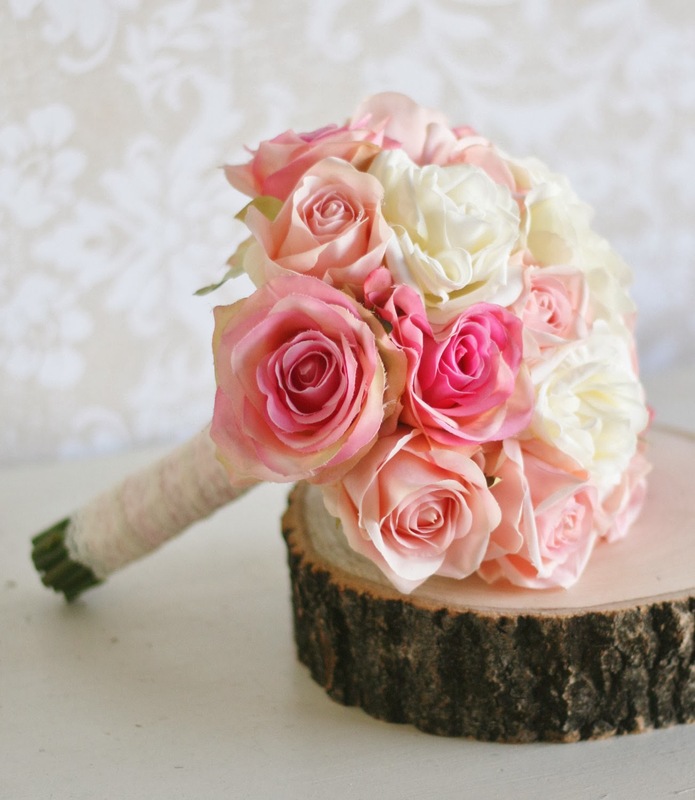 Natasha is a lovely bride-to-be from South Wales, UK, who loves all things related to weddings. She also works at company called Hen Stuff, which provides accessories for your hen night & for us here in the US, we call it a “bachelorette party”. Thank you Natasha for your post! Check out her ideas…. Whether it’s your bridal bouquet, your bridesmaid flowers, your buttonholes or your table centrepieces, you want your wedding flowers to make a statement without looking out of place. But what options are there other than the traditional blooms? Well, if you’re looking for something a bit unusual then you might want to consider some of the ideas below. Numerous brides from the UK have already incorporated them into they’re wedding, and they truly made their day unique. 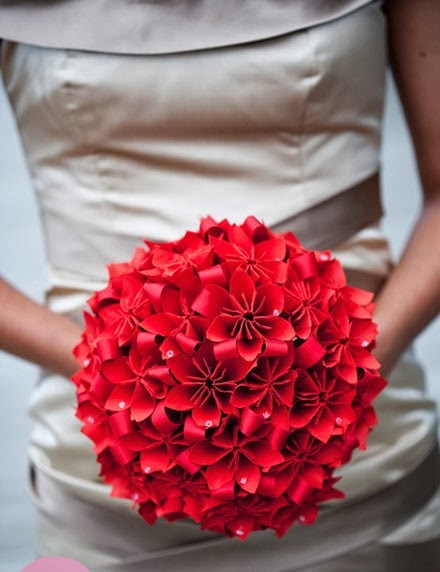 You might not think that paper flowers can look that nice but if you find someone who is an expert in origami or paper quilling they can create flower arrangements worth talking about. A lot of brides like to have smaller flowers made for their hen party bags and their invitations at the same time as their main arrangements, just to give a taster of what is to come. Bead flowers add sparkle to your wedding day whilst also creating a beautiful focal point on your tables and around the function room. A popular choice when it comes to bead flowers incorporates crystal beads on the end of springy gold or silver wire. The wire stems are secured into a table setting so that the crystal beads move and shimmer in the subdued light of the evening. Bridal bouquets made in the same way make a stunning alternative to the traditional flower bouquet and can be kept forever. This beauty is from Etsy. Buttons? 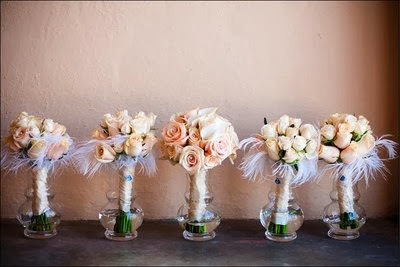 Yes, it seems that button bouquets and posies are becoming a popular choice for wedding day flowers. If you can find someone to make professional button flower pieces for you, you can easily and inexpensively give your wedding day a vintage feel. Table centre pieces composed of buttons look extremely pretty and provide a talking point; and if you have your buttons specially made for your big day – maybe with your names and the date on – your guests can take a button home with them as a keepsake. Check out these beauties from Ditsy Bride. 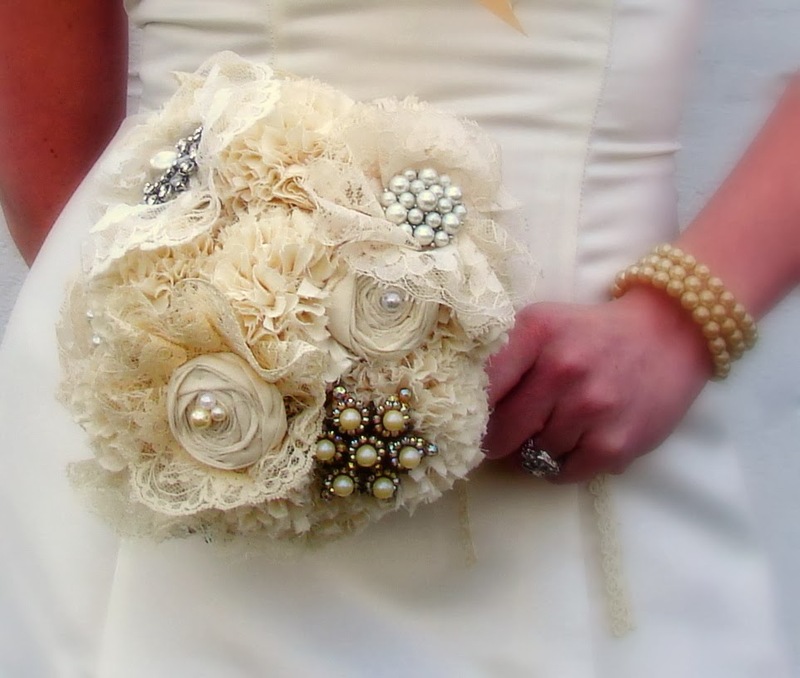 Why not have your wedding flowers made from the same material as your wedding dress? Material flowers look very soft and feminine and if you incorporate lace, silk, voile or satin into your flower arrangements you can create something unique that never dies. Material flowers are perfect for including in hen party bags as well, just to get your hens thinking! Thanks to Etsy for this one. If you want real flowers for your wedding then you can make them completely unique by weaving in feathers, vines and similar natural materials. The feathers from a feather boa are perfect for this use and you can often choose a colour to go with the theme of your wedding. A lot of brides add white feathers to their bridal bouquet in order to make it look more ethereal, giving them the look of an angel as they walk down the aisle. Thanks to San Diego Style Weddings for the above image! It is possible to produce a unique bridal bouquet and other wedding flowers with the help of old, vintage costume jewellery. Combining beads, silver charms, old broaches, crystals and even watch faces, with the aid of silver wire, can produce a stunning effect. Unless you can find a lot of similar style jewellery, each of your table centrepieces will be slightly different from the rest, but this just adds to the sense of amazement and uniqueness they create. Thanks to Wedzu for this image. There is absolutely nothing wrong with traditional blooms on you’re wedding day, but if you fancy something a bit more unusual, then the alternatives above are worth considering. You can probably create some of the ideas yourself, but you may need professional help for others. 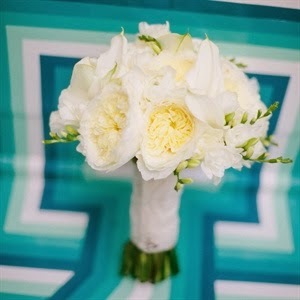 Either way, you’re sure to create wedding day flowers that will be remembered for years to come. Wow…these are just some stunning & different ideas that Natasha shared with us. 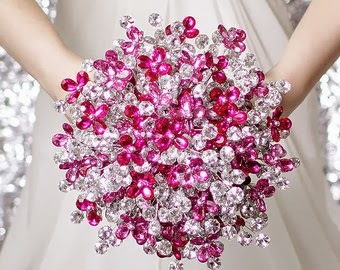 I hope they gave you a little inspiration for something a bit out of the box for your bouquet! Thanks Natasha for a wonderful post! We love unique and different things at weddings and would love to see what unique ideas you have for you’re wedding. Check out our the Services we offer. Anyway, I’m so excited to welcome another Crew Member into the Inked family! Taylor comes on board as my newest intern. I met with her last week after she sent me her resume & we chatted via email a bit before finding a time in our schedules to meet. As I’ve mentioned before, I’m always up to meeting someone who is interested in the industry then, if I find they are a good fit for me & my business, I will happily do whatever I can, to educate & help them learn about it. So, with much excitement and pleasure, please meet…. I am currently studying Small Business Entrepreneurship at Nashua Community College and have always been interested in event planning. I’m a natural planner and the wedding industry is the perfect business for me. I recently got engaged and have been excitingly planning my own wedding, so I thought it would be interesting to see the other side of planning and thought working in the industry would be right up my alley! In my spare time, I love to be around my friends and family. I am a huge fan of traveling and trying new things! 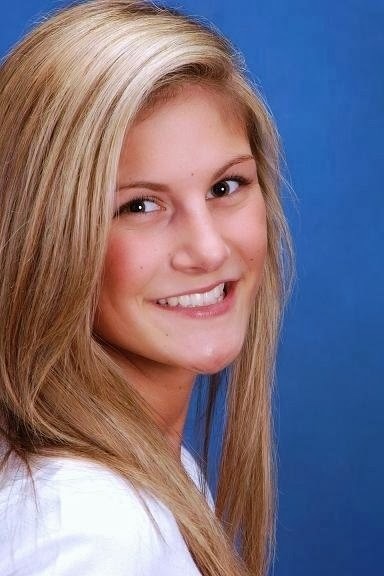 Welcome Taylor! So happy to have you on board! I can’t wait to see what she brings to the table with her creativity, style, thoughts & her easy & friendly personality! Want us to be part of you’re wedding day? Check out the Services we offer. If you figured out by reading some of my posts, I’m a lover of the winter, so when I saw there were a few flakes flying this morning, I was happy girl! Spring is around the corner and like everyone else, I’m looking forward to that season too. 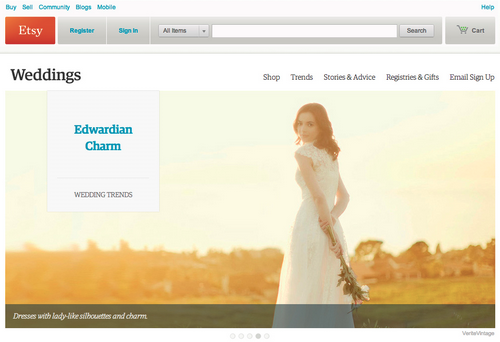 Below are some of the most popular wedding websites that she found out there. With the world at our finger tips, wedding planning has become an entirely new experience. 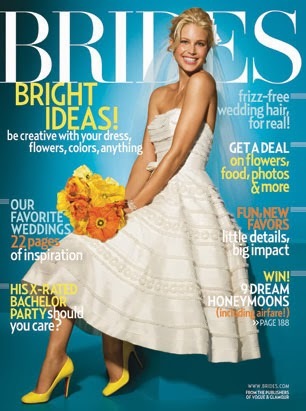 Finding inspiration for your dream wedding can come from many sources, including magazines, blogs, websites, and more! The virtual age has truly made it so the possibilities are endless when bringing your vision of the Big Day to life. Let’s dive into some of the most popular places to go for inspiration and information! And before we go any further, yes, I am addicted to Pinterest. 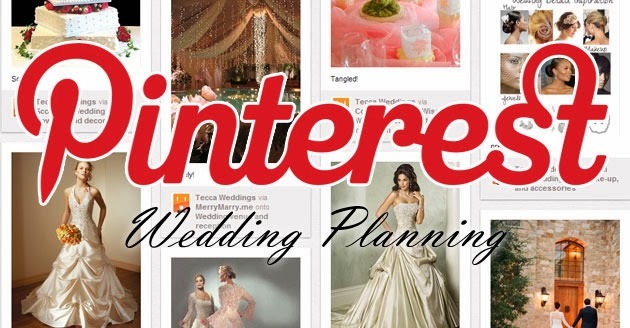 If you still haven’t joined the Pinterest craze, you could be missing out. There are so many areas to explore on it that allow you to build most, if not all, aspects of you’re wedding. Inspiration can be found just about anywhere on site, not just in the “Weddings” section. Check out the “Food & Drink” section for ideas for hors d’oeuvres or your Signature Drink, the “Travel” section is perfect for finding that ideal honeymoon locale, or even if you’re planning destination wedding, “Holidays and Events” can give you seasonal décor ideas for you’re wedding. These are just a few of the sections to explore, but I promise, there is so much more! If you like unique DIY styles, but simply don’t have the time to do-it-yourself, Etsy is the perfect place to go to achieve this vision. It’s a virtual marketplace where people from all corners of the globe buy and sell one-of-a-kind goods. Goods such as distinctive rings, favors, guest books, and you can even buy you’re wedding dress there too! I found this resource to be geared more towards the traditional bride, so if you’re looking for a truly traditional wedding, this is your guide! Not only do they have the magazine, but they also have a website www.brides.com too. One of the many great things about their website is the checklists they offer. They help to keep you organized when registering for gifts and for planning nearly every detail of you’re wedding. They are essential to staying organized. Check out their blog or their dress search tool, you will have endless resources and inspiration for planning a traditional wedding. 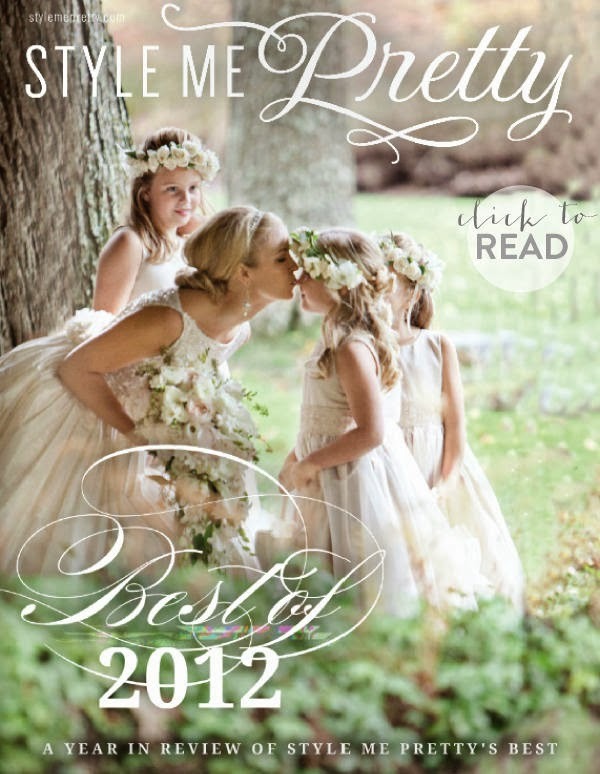 This magazine and website truly has something for every type of bride, which I absolutely love. From the rustic to the culturally diverse weddings, you will find inspiration to suit your unique day. One thing I love about this website is their “Vendor Guide” section. While many websites showcase the design aspects necessary for you’re wedding, this one also links you to vendors within your specific region, such as caterers, party rentals, and cinematographers. The “DIY Projects” section is pretty fabulous as well, since they go into making the items step-by-step. 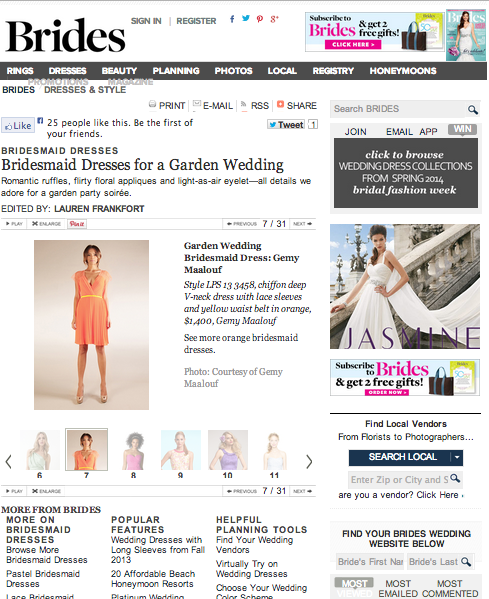 We certainly cannot end this post without touching upon one of the biggest go-to websites for brides, www.theknot.com. The Knot has nearly every type of resource a bride needs to bring her dream wedding to life. Their “Tools” section is the perfect way to organize every detail of you’re wedding, from the guest list to the oh-so crucial budget. Check out the “Community” section to engage with other bride-to-be’s because you never know what advice another bride may be able to lend to you for your big day! Having the opportunity to exchange ideas with other women can certainly be a great source of inspiration. What’s more powerful than women inspiring one another! I hope these resources will help you to capture the picture you have envisioned for your wedding day! Want to learn more about how we can help you with your wedding? Check out our Services.